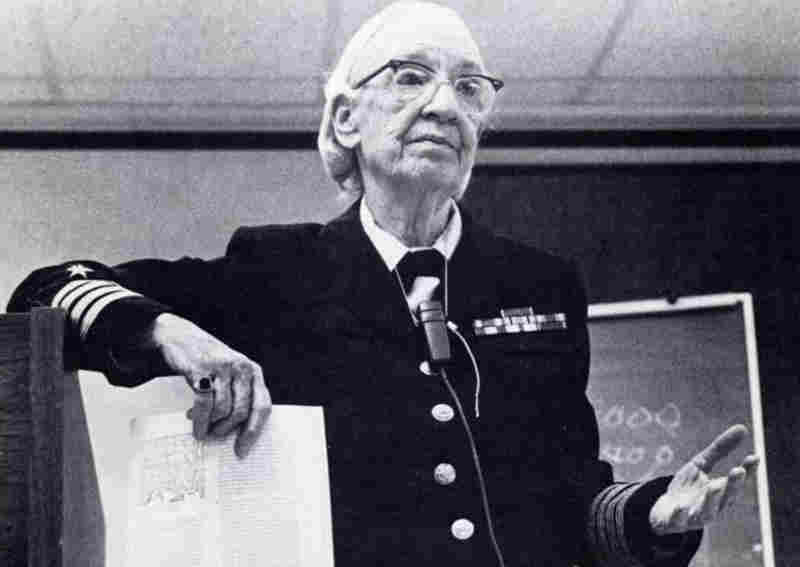 Grace Hopper was an American computer scientist and United States Navy rear admiral. She was one of the first programmers of the Harvard Mark I computer in 1944, and invented the first compiler for a computer programming language, and the one of those who popularized the idea of machine-independent programming languages, which led to the development of COBOL, one of the first high-level programming languages. She is credited with popularizing the term "debugging" for fixing computer glitches (inspired by an actual moth removed from the computer). Owing to the breadth of her accomplishments and her naval rank, she is sometimes referred to as "Amazing Grace". The U.S. Navy Arleigh Burke class guided-missile destroyer USS Hopper (DDG-70) is named for her, as was the Cray XE6 "Hopper" supercomputer at NERSC. Hopper was known for popularizing the term "bug" in software development. 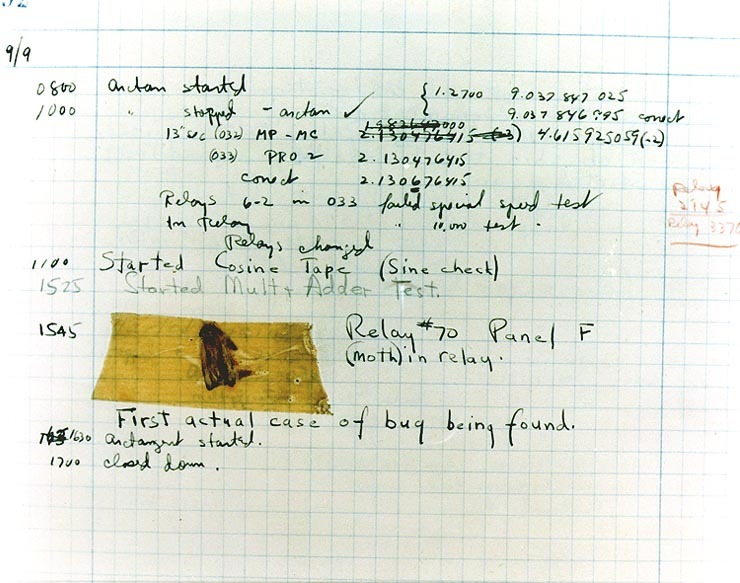 While she was working on a Mark II Computer at a US Navy research lab in Dahlgren, Virginia in 1947, her associates discovered a moth stuck in a relay and thereby impeding operation, whereupon she remarked that they were "debugging" the system. Though the term bug had been in use for many years in engineering to refer to small glitches and inexplicable problems, Admiral Hopper did bring the term into popularity. The remains of the moth can be found in the group's log book at the Smithsonian Institution's National Museum of American History in Washington, D.C.
Hopper was immensely quotable, and well-known for her energetic and engaging talks. Hopper received many awards and accolades throughout and after her lifetime. 1969: Hopper was awarded the inaugural Computer Sciences Man of the Year award from the Data Processing Management Association. 1982: American Association of University Women Achievement Award and an Honorary Doctor of Science from Marquette University. 1985: Honorary Doctor of Letters from Western New England College (now Western New England University). 1987: The first Computer History Museum Fellow Award Recipient "for contributions to the development of programming languages, for standardization efforts, and for lifelong naval service." 1988: Golden Gavel Award at the Toastmasters International convention in Washington, DC. 1991: National Medal of Technology. 1991: Elected a Fellow of the American Academy of Arts and Sciences. 2001: Eavan Boland wrote a poem dedicated to Grace Hopper titled "Code" in her 2001 release Against Love Poetry. 2001: The Gracies, the Government Technology Leadership Award were named in her honor. 2009: The Department of Energy's National Energy Research Scientific Computing Center named its flagship system "Hopper". 2009: Office of Naval Intelligence creates the Grace Hopper Information Services Center. 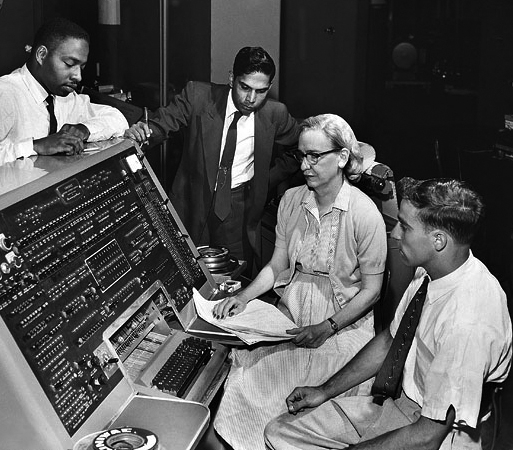 Was Grace Hopper a great software developer? Or the greatest software developer of all-time? 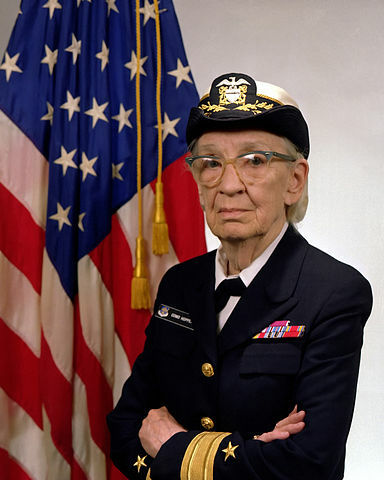 The text and images on this page come from the Wikipedia entry for Grace Hopper. All content used under a Creative Commons Attribution-Share Alike license.